With my Mother in Law coming to stay for a couple of days this month I had to clean out my office. It was full of toys including all of my Skylanders that weren’t being used in the living room. I decided that what I would do is set them all up on the Trek Desk and also set up our old Wii so that I could play Skylanders while walking on the treadmill. I’ve tried it already and walking while playing the game is much easier than typing. Of course I’m not a big fan of the wiimote now that I’ve been playing with the Wii Gamepad primarily. 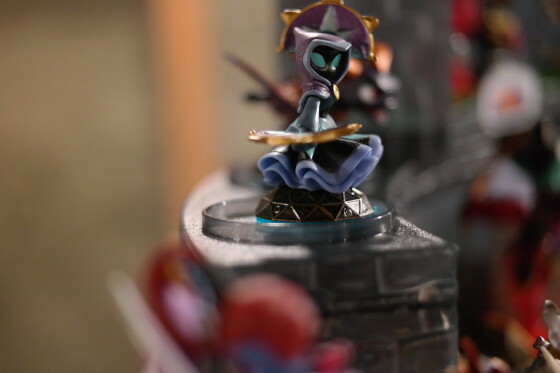 I made a video of the setup as well as a mega pre-unboxing of figures. I shot the video with my Samsung NX300 and the 2D/3D 45mm lens as well as the 18-55mm kit lens. I need to figure out how to keep the focus in one place for future videos. 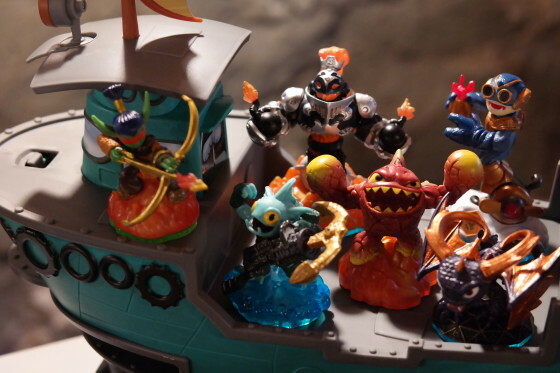 I also shot some photos of the skylanders that I had around the trek desk.